Started and finished this book this morning; it almost made me late for work:) It is the second in the Dido Hoare series which I only recently discovered. I love the characters of Dido, her father Barnabas and now her new sidekick, Ernie. The characters are rich and well developed and I really enjoy the relationships among them and the others on the periphery of the story. The mystery surrounds a former spy/secret agent and bookstore customer who died under what Dido deems suspicious circumstances. Scotland Yard is involved along with other police/governmental agencies and even Egyptian authorities. Dido follows the clues, attempting to do justice for the dead man. Barnabas and Ernie each helping in their own ways, everything from watching her baby, Ben, to minding the store, acting as a bodyguard, or researching antiquities. This is a wonderful series, with a strong and intelligent cast, and I plan to read all of it. There are 8 in the series so far. I have looked on line but am unable to find any current information on the author so I don’t know if she is still writing or not. The antiquarian book shop sets the theme, but it is not as cutesy as many modern theme based cozies. Finished this one last night, the first in the Port Chatham series. This is a paranormal cozy and the paranormal definitely takes front and center stage so you need to be prepared for that to be the focus. 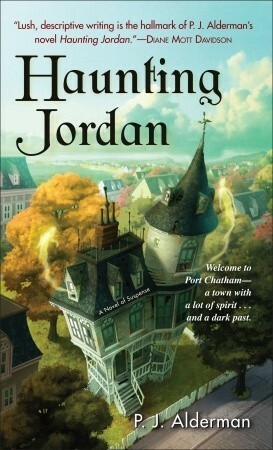 The characters are interesting including Jordan Marsh, the protagonist therapist turned home renovator turned sleuth. A good looking contractor type is thrown in for fun and then of course, the ghosts. Jordan is actually dealing with more than one mystery. The death of her ex-husband, an open case in she is the main suspect and the murder of Hattie, one of the ghosts inhabiting her home. The chapters flip back and forth between the present day and the past events and journal entries. The writing is well done and the transitions between chapters, past and present flow smoothly, which can be difficult to do well. 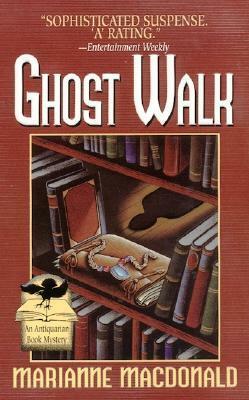 Curious to see how this series continues since the original ghost’s mystery is solved. Paranormal is not my favorite read, but this was well enough done that I would give another book in the series a try.